The mouth can be considered as a window into the health of the rest of the body. One reason for this phenomenon is that the blood in the gums flows to such vital organs as the heart, brain and pancreas. Medical professionals have discovered that a serious condition called Chronic Lyme Disease (CLD) may have some indirect ties to your oral health. Read on to learn how. Chronic Lyme Disease can be brought on by bacteria that cause cirrhosis (scarring) of the liver. The scarred tissue can inhibit the natural function of the liver, slow its flow of blood and inhibit its ability to eliminate waste. One of the main contributors to the condition is metabolic syndrome, which can be brought on by obesity, high cholesterol and triglycerides, and elevated blood pressure. How is CLD Related to Oral Health? The connection between CLD and the mouth is the bacterium. Researchers have found that among patients who have received root canal therapy or a cavity filling using amalgam (metal) restorations, Lyme-related microbes can infest the area as the metals begin to breakdown. Untreated, this can hinder the function of the immune system, which opens the door for other serious infections. Just as is the case throughout the rest of the body, there is a constant balancing act going on between the good and bad bacteria in the mouth. Researchers have found that eating a diet high in refined sugars, processed foods, and drinking unclean water can create an imbalance in the oral flora (bacteria), which leaves a person more susceptible to the effects of CLD. 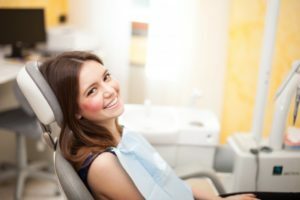 One way to prevent the symptoms of CLD in the mouth is for a dentist to carefully remove amalgam restorations using special techniques to limit the leaking of toxic mercury vapors that could have adverse effects on the brain and heart. Regularly rinse the mouth with sea salt. Use a soft toothbrush to limit the irritation of your soft tissues and the release of toxic Lyme that may have been lying dormant. It’s best to limit the consumption of processed items, and replace them with naturally-occurring, whole foods. If you suspect that you have any of the symptoms of CLD, don’t hesitate to contact both your physician and your dentist so that you can be examined. With the help of a dental professional to remove amalgam restorations and your willingness make the necessary lifestyle changes, you can protect both your oral and overall health. Dr. Sean Bannan earned his D.D.S. degree from the University of Michigan School of Dentistry. Since then, he has remained an active learner by taking continuing education courses annually. Additionally, Dr. Bannan maintains affiliation with several professional organizations, including the American Academy of General Dentistry and the Flagler County Dental Association. He helps patients prevent serious oral health issues at Water’s Edge Dental, and he can be reached for more information through his website.